Finely chop one cup of the mint leaves. Place the chopped mint leaves into a 3-quart teapot or heat-resistant pitcher. Add the tea leaves and sugar. Pour the boiling water over the leaves, stirring to dissolve the sugar. Set aside to steep for five minutes. Strain the infused liquid into another pitcher. (Discarded leaves can be used for garden mulch.) Stir in the whole mint leaves, then cover and refrigerate until chilled, or overnight. 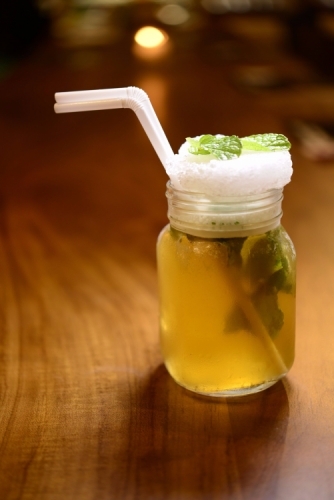 Place several ice cubes into tall glasses and pour the minted tea, along with a few mint leaves, over the ice.